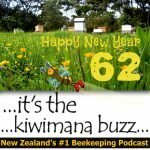 Hi this is Episode forty two of our beekeeping podcast, This week we are talking about the Honey Harvest in New Zealand (or lack of) and do Children mix with Bees. You can download the podcast directly from HERE, or click on the play button above. Welcome To the kiwimana buzz, A show where we talk about Beekeeping, gardening and life. 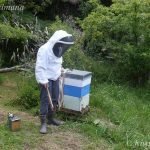 Hi, it's Gary and Margaret here, We are beekeepers from the hills of the Waitakere Ranges in West Auckland, New Zealand. 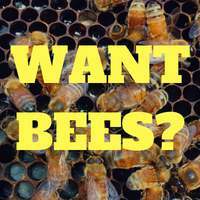 Our podcasts are about beekeeping, Gardening and bit of politics about environmental issues. We also have been known to go off on tangents about other issues. 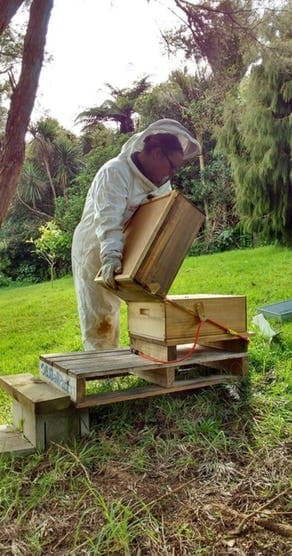 Margaret has been doing inspections on our hives. 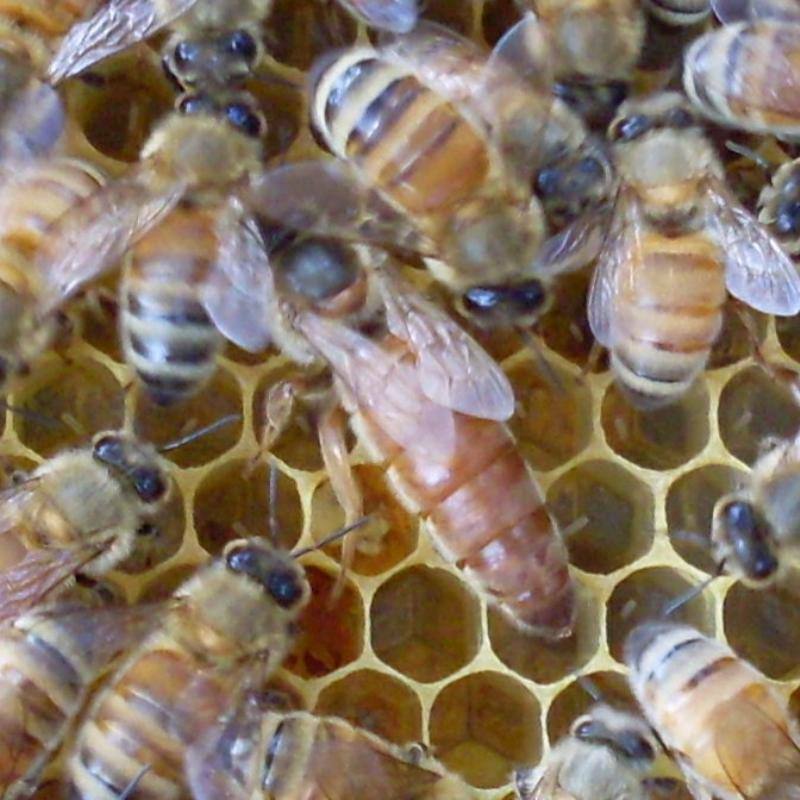 11 of the Most Famous Beekeepers In History! Let's face it, beekeeping isn't exactly a mainstream hobby so it's rare to encounter someone who can claims the title of “beekeeper”. It's even more rare to meet someone who's not only famous, but also a beekeeper. A great post from the Best Honey Site blog. 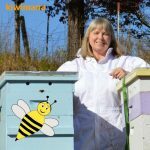 Karen Bean from Brookfield Farm Bees shares her results from her test of the effect of predatory mites, Stratiolaelaps scimitus (aka Hypoaspis) on varroa mites in 4 of her beehives last summer. You can also listen to our interview with Karen HERE. Federated Farmers expects say there will be at least a 40 per cent drop in honey production due to windy and cool weather this season. There would be a lot of beekeepers that probably would not break even this year, said Federated Farmers' Bee Industry Group chairman John Hartnell. Bees and children normally have a volatile relationship. 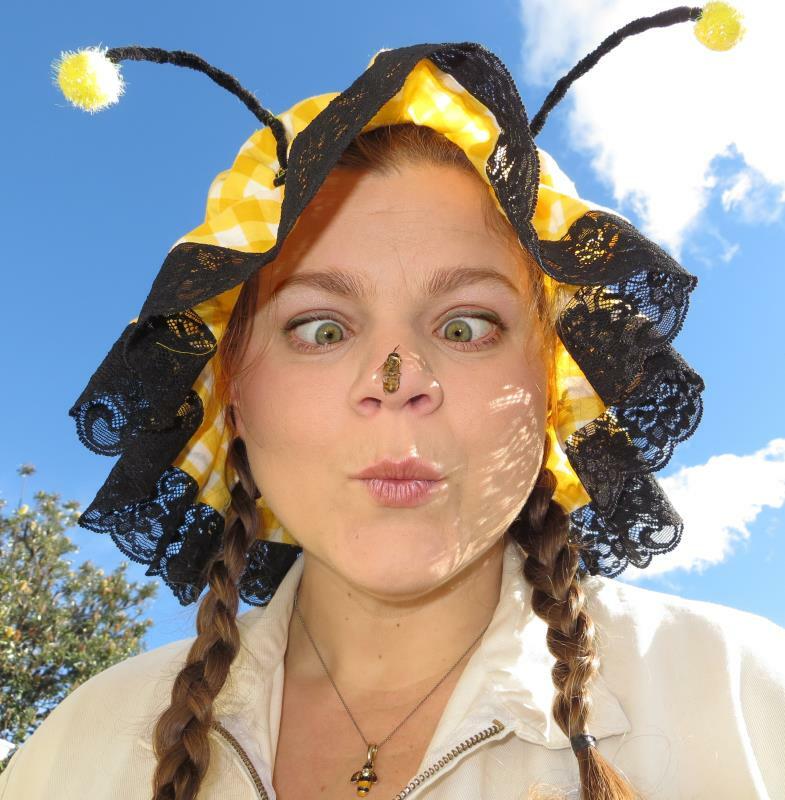 The fear of being stung and the increasing number of children with allergic reactions tends to create a unsympathetic environment for the humble bee. 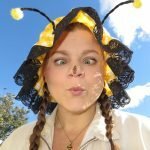 But one East Auckland school is going against the tide of fear by having bees on the school grounds. Thanks to the Bee Lady “Sara Russ”. How long can I leave a swarm in a nuc box? What do bees do in an earthquake? How late in to the season can you raise Queens? What are bees foraging on at the moment? If you have a itunes account, Please review our podcast on itunes? 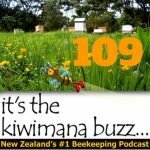 https://kiwimana.co.nz/iTunes. Previous post: infested ! … with Varroa !! On #42 you mentioned about a question by someone “how long should a swarm be in the nuc box before you put them into a hive?” While I agree with ‘immediately’ I had someone box up a swarm and let them fill the box for two weeks before they passed them on to me. They were very warm indeed. I made up some swarm/ nuc boxes but I modified them to have screened openings on the bottom. Not huge holes but say in a 5 frame nuc I had put two square openings about 7 by 5 inches (18 cm by 12 cm) each. I just stapled down the screen on the inside of the box. I even took my old nuc boxes which had solid bottoms and carefully plunged down my skill saw to make a ‘square’ and used another type of saw to finish the cuts where the blade did not go all the way through at the corners. I then stapled screen to it too. 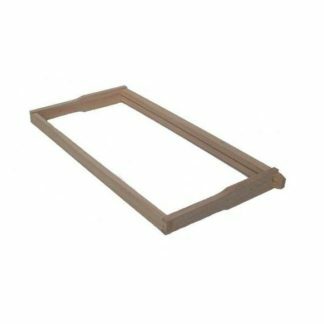 I used a heavy gauge screen knowing that sometimes the boxes may be rough handled whereas a plastic or thin screen would stretch or tear. 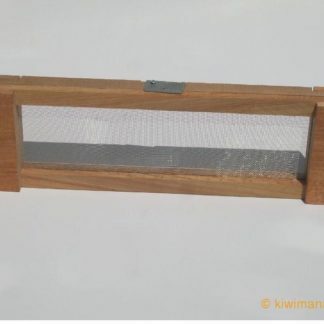 I even made some swarm catching boxes similar to these so that I can grab and go when I get the bees. Heard of you through Kevin (at BKCorner.org) by the way. He mentioned in his latest podcast that he lost 3 out of 4 of his hives. Disappointed by not down and out. There are many here in the US that have lost more than usual this winter. Being that we have had extremely cold weather for longer periods of times. Such as it is with ‘livestock’ though. Bee Blessed!! Thanks Steve for the feedback and great comment. Yes I heard that podcast from Kevin, sad news indeed. But great to see he can still laugh about the situation. I hope you have better results with your bees coming out of winter Steve. 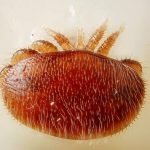 I thought it might be of interest to you that our business sells Stratiolaelaps scimitus in NZ (formerly known as Hypoaspis miles), the predatory soil mite being trialled overseas for varroa control. The product is sold under the trade name Hyper-Mite, and can be couriered anywhere in NZ. I should stress that although this organism has been used extensively in greenhouse horticulture for the control of soil pests, its use in honeybee hives for varroa control is experimental only. We currently have very little idea of its efficacy in this endeavour, but won’t know more until more people give it a try, or it is picked up for research. Thanks for the email, yes very interesting little mites. I haven’t heard of anyone having much luck with controlling the mites with them, the mites need somewhere in the hive to live and the honey bee is a great housekeeper, so tends to throw them out of the hives. 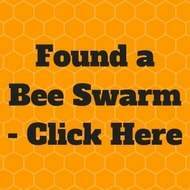 Do you know of any beekeepers that have tried them? 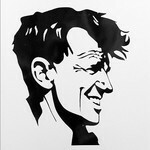 Thanks so much for your recent mention of my site and a link to my recent post about the top famous beekeepers! Keep up the great work here on your site. Great to hear from you Tim, hope you got a chance to listen to the show as well. Love this show and thank you for sharing everyday updates about Kiwimana. Keep posting! Hey Gary, great podcast! We also use food grade essential oils at our site https://www.earthzenwellness.co.nz/pure-essential-oils/ They can transform a meal from average to AMAZING!